If you have a few minutes, listen to Jim Carrey’s popular speech at a university in Iowa. 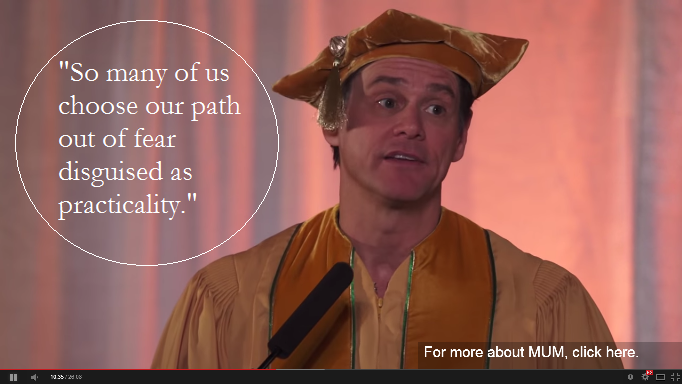 At Maharishi University School of Management Carrey is funny, deep and even makes a joke about Monsanto. What really want seems impossibly out of reach. We never dare to ask the universe. Jim says he is the proof that you can ask the universe for it.